Over at American Thinker, they warned readers this story wasn't satire from The Onion. The US has condemned a suicide attack on Iranian Revolutionary Guards. 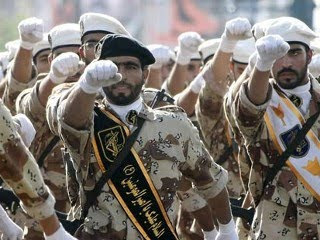 The U.S. has condemned a suicide attack that killed five Iranian Revolutionary Guards Corps members today. Five commanders of Iran's Revolutionary Guards were killed in suicide attacks in Iran's southeastern Sistan-Baluchistan province bordering Pakistan, according to reports. The Baluch group Jundullah claimed responsibility for the attack, that killed some 30 people. Americans should remember it took several days for President Obama to strongly denounce the violence against Iranian protesters after the last election.